As a lifelong list maker and professional project manager, I gradually designed my ultimate planner. After years of requests, I’m making them available to you as well! 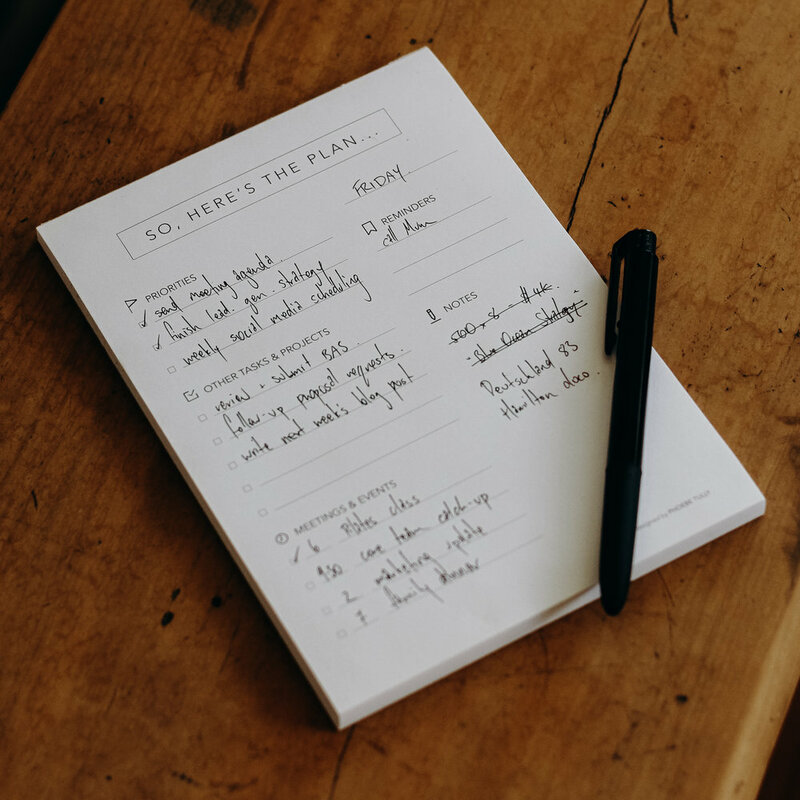 With a simple design that encourages focus – but includes enough space to scribble notes, check off meetings, and jot down quick reminders – the Daily Planner Notepad is small enough to transport but big enough to fit your entire day. With 60 tear-away pages, it will last you up to two months. My personal system is to use Asana as my master (digital) to-do list, which includes recurring client deadlines and an overall picture of each project. I then use this daily notepad to focus my attention on today. No balls dropped, but also no overwhelm. Thank you! I’ll get in touch as soon as they’re ready to order.